The latest game of the NBA 2k series, NBA 2k19 was released 4 days back on 7th September. It features the Greek Freak Giannis Antentokounmpo as its main cover athlete, along with a couple of other stars in different countries starring on the cover page in their home countries. 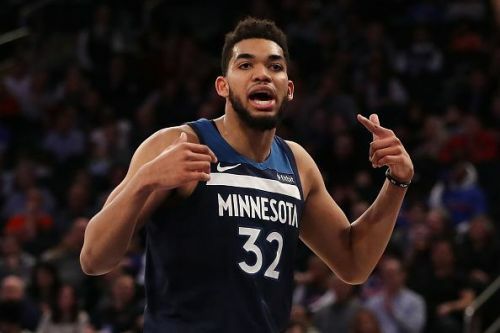 The #1 overall pick in the 2015 NBA draft, Towns has been a dominant scorer for at least 2 seasons now. Although a 91 rating seems to be a bit on the higher side for him considering that he's still a suspect NBA defender, he is the best scoring center in the league today and for that reason, there's reason to see him rated this high. He is the only center in NBA history to slash 50/40/85 shooting splits while scoring over 20 points per game. Indeed, because of Tom Thibodeau's insistence on exclusively using Butler during clutch periods, it often feels like he's missing out on one of the simpler tricks he has up his sleeve - getting Towns to post up. Aged only 22 right now, the sky is the limit for the former Kentucky product.